The last Renault. Derek Warwick in 1985 in the RE60B. One upon a time Renault changed the Formula One world with the turbo-charger, but that was ancient history, and it had been 3 years since they'd won a race. 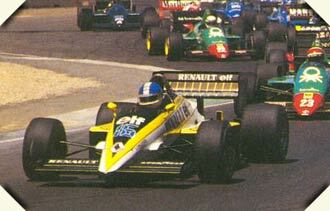 They were supplying engines to Lotus and Ligier and being beaten by them. Enough was enough. Never trust rubber. All Nigel Mansell had to do was finish fourth in 1986 to achieve THE DREAM. A minute before this shot was taken Nigel Mansell was cruising to a world championship. 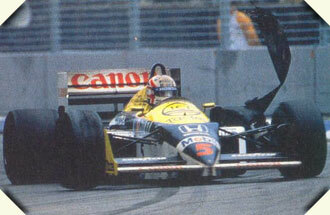 A terryifying tyre failure on the fastest part of the course and it was all Mansell could do to control his Williams FW11. At this point he is lucky to be alive. Gerhard Berger. The man everyone was talking about in Adelaide in 1987, having just won the Japanese Grand Prix for Ferrari. 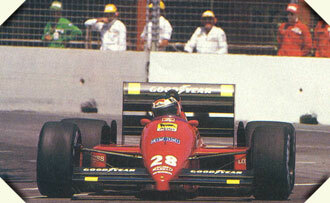 And he was looking good in Australia too until a clash with Rene Arnoux. 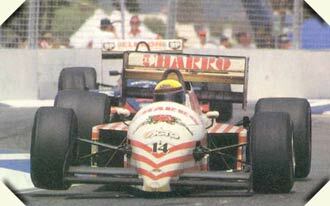 Roberto Moreno finally made Formula One in 1987 in the AGS team. He'd already won three Australian GPs by this point in the pre-F1 history of the event, beating names such as Jones, Laffite, Lauda, Piquet, Rosberg and de Cesaris in near identical Formula Pacifics. He never really looked like winning a fourth though. One day he'll get a ride that lasts a whole season. Maybe. The Rain Master. Murray Walker yelled "coming out of the mist like Jaws" - Ayrton Senna in 1989 after his McLaren ran into the back of Martin Brundle's Brabham near-unsighted in the wet on Brabham Straight. Satoru Nakajima's finest hour. 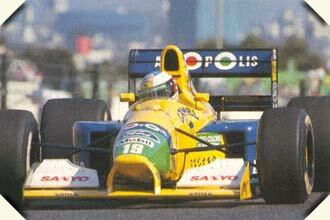 The Japanese hero finished fourth in the dreadful 89 race driving a Lotus 101 Judd and collected the race's fastest lap. If the race had been any longer he would probably have claimed Riccard Patrese's podium position. Nelson Piquet (Benetton B190 Ford-Cosworth) on his way to a brilliant win in 1990 where he out-thought and out-raced his more fancied rivals. Nigel Mansell did everything possible to win for Ferrari, including a desparate last gasp overtaking attempt on the last lap, but in the end the race was one lap too short for Mansell. 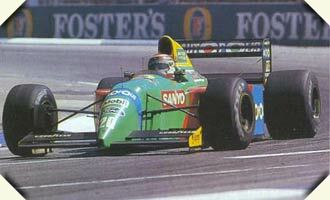 The face of the future - Michael Schumacher in a Benetton B191 Ford-Cosworth. Schumacher never did win in Australia - he finished second twice, retired due to mechanical failure four times and due to collisions three times. 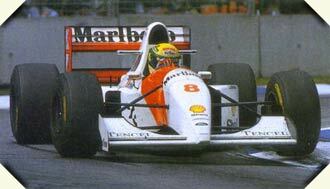 One of those times was on his debut race in Adelaide, in 1991. The last victory. 1993 was Ayrton Senna's 41st Grand Prix win, and his last; A few months later, the great Brazilian was dead. In the same race, his greatest rival Alain Prost, won the WC for the fourth time in a Williams FW15C Renault. 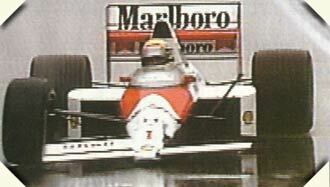 Prost finshed second in this race to Senna. The race that launched a thousand debates. 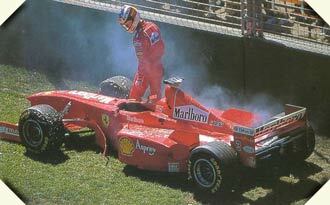 For Michael Schumacher, Adelaide 1994 has bittersweet memories. It was the day he become world champion for the first time, but only after a controversial clash with Damon Hill, something that would forever tarnish the German's reputation. Australia at last! 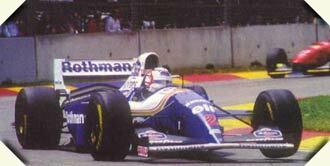 Nigel Mansell finally won a race that had long eluded him during a brief comeback to Formula One in 1994. With some of his family living in Australia it was an important race for him and it helped salvage some joy for the desperately disappointed Damon Hill and the Williams team. Against all the odds Gianni Morbidelli would bring his Footwork FA16 Hart home third in the 1995 Australian Grand Prix. 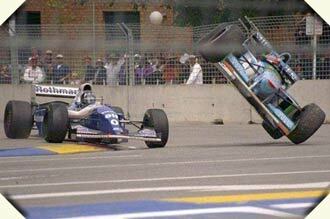 It was almost second as Olivier Panis' Ligier would not have lasted if the race continued another lap. Fisichella was the most impressive arrival of 1997. His performances in the Jordan 197 Peugeot marked him as a future star but has led him into a downward spiral at Benetton. He thought it would be his year. Michael Schumacher surveys his expired Ferrari F300 in 1998 while the McLarens proceed on a demonstration of near rediculous proportions. The next year, the images of Schumacher would look almost the same. Could the German finally break the mold this year?